Starcke GmbH & Co. KG (http://www.starcke.de/en/) is a medium-sized, family run company that dates back to before 1720. For over 100 years Starcke has manufactured abrasive cloth and paper that gives the master touch to a wide variety of surfaces, converting them into quality products. “At Starcke, we sell to distributors that want to use and promote their own brand names. By printing color labels on demand, we give our distribution partners this capability at no additional cost. Having the option of full-color labels means our customers get their customized label with their logo and company’s color. This customization has been part of our business model from the start of Starcke USA” according to Mary. 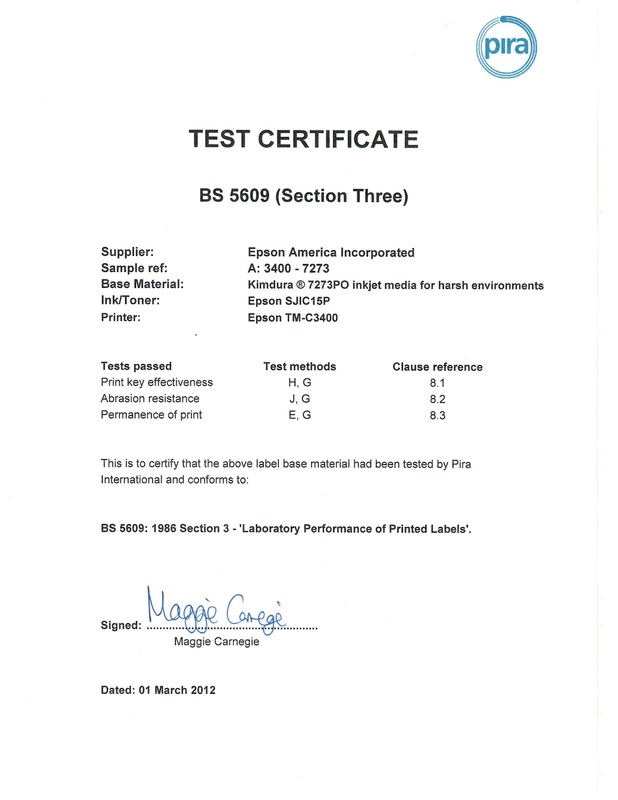 I was introduced to Mary recently when two of Starcke’s TM-C3400 printers required maintenance. To get service on this out-of-warranty printer, Mary had to contact and then send the printers to a local Epson “Servicer”. This servicer then sent the printers to Indianapolis where they were repaired and returned to Starcke. If you or your customers want to provide custom OEM labels for your distribution partners, be sure to do what Starcke Abrasives does; produce them when you need them. And be sure to purchase the Extended Warranty and Spare-In-The-Air service program when you buy or sell a TM-C3400. Contact me if I can help you with your OEM label program or have questions concerning service. Mercury Medical is a comprehensive health care company specializing in anesthesia, respiratory and critical care products and services. This company is recognized for excellence in manufacturing high quality medical products including the Neo-Tee T-Piece Resuscitator, Flow-Safe CPAP Systems, End Tidal CO2 Detectors, air-Q Masked Laryngeal Airways, CPR Resuscitation Bags (disposable, reusable and CPR-2 self-inflating), Hyperinflation Bags and Negative Inspiratory Force Meters. Headquartered in Clearwater, Florida with a regional depot in Atlanta, Georgia, Mercury Medical has been in business for nearly 50 years, keeping health care ahead of the curve with their latest innovations. Although this process worked, it took a great deal of operator time, especially handling the media; picking the correct label and then putting away the labels. More importantly, this process created lots of waste and scrap labels. 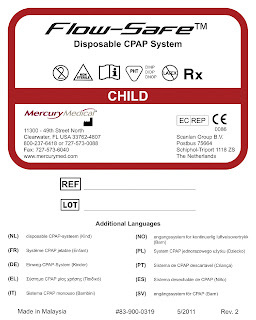 With approximately 1,000 SKU’s, Mercury Medical had to scrap preprinted labels every time a revision was made. To reduce the operator time and wasted labels, Mercury decided to move to a print-on-demand color label process using the Epson TM-C3400 and two different label sizes, printing labels in 10 different colors. “Now, Mercury prints the latest version of the label, only when required eliminating the waste associated with preprinted labels. 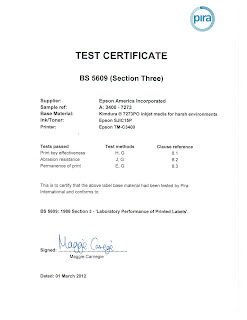 This new process has reduced our label costs by approximately 67% say Brian”. 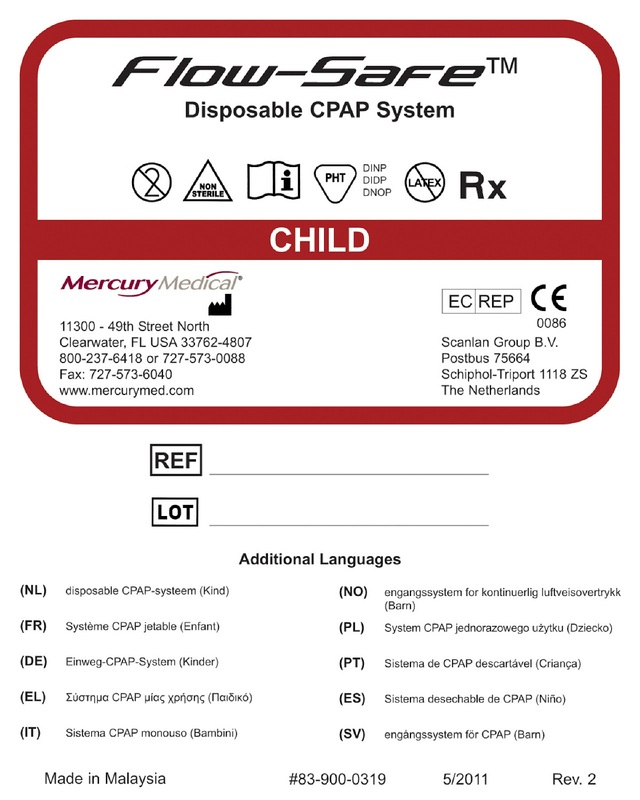 If you and/or your customers have a large inventory of preprinted color labels, then moving to print-on-demand could save money similar to what Mercury Medical found. Plus, adding color to your labels will strengthen your brand with customers. I like to thank Fred Braun at BCS Solutions http://www.bcssolutions.com/ for connecting me with Mercury Medical; and selling them the TM-C3400. FYI: Fred met Mercury at a trade show some time ago; but continued to work with them to deliver this great solution. Contact me to discuss how we can work together to reduce your costs and strengthen your brand using print-on-demand color labels.